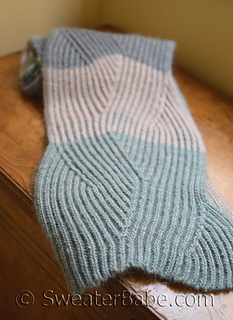 The Brioche stitch produces a lovely fabric with lots of depth and beautifully defined ribbed lines. It lends itself perfectly to simple increases and decreases that shift the pattern this way and that. That concept is exactly what then developed into this flowing scarf! 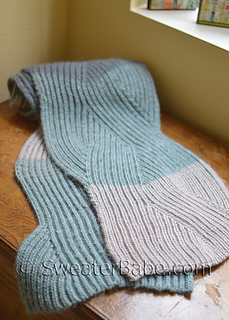 It starts with a little bit of one-color Brioche stitch, then the decreases and increases are placed to gently shift the center stitches to the right, then the left. 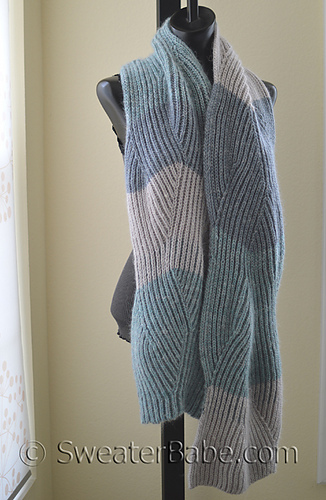 Three colors are combined in this scarf for further visual impact. 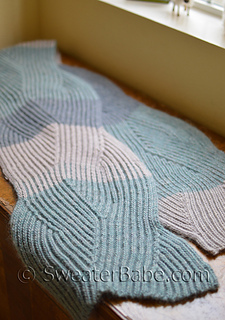 Color transitions are either done with a little bit of two-color brioche or simply done at the same time as the directional ribbing is shifted. 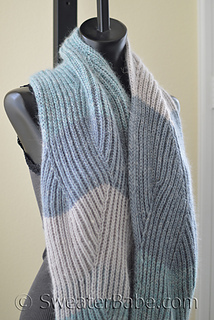 The sample was knit with the Italian cast on and bind off, which perfectly match the look of the knits and purls of the ribbing. Both techniques can be learned with the online links provided in the pattern. 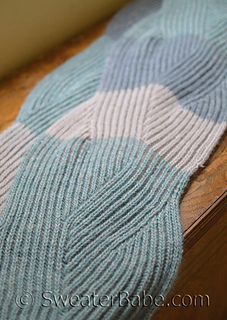 If you prefer simpler techniques, the long-tail cast on and regular bind off will work fine too. 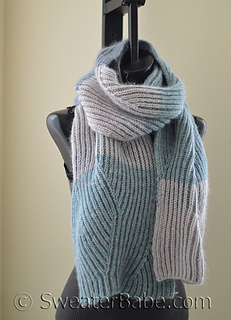 Scarf is a generous width and length. Add that to the natural squishiness and thickness of the Brioche stitch, and you’ll be knitting a seriously warm and indulgent scarf. 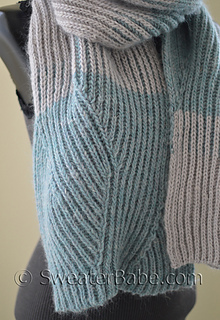 Shown here in 3 lovely shades of Purl Soho Flax Down. Suggested yarn substitutes listed.